If the mountains are one of your favorite places to visit on vacation, you may consider purchasing a cabin there for yourself. Whether you use it as a second home for vacations only, a rental property that you will also use occasionally, or your new home outside the city, you must think carefully before committing to your first cabin purchase. Cabins come with their own sets of concerns, and you must look at each possibility from all angles before determining what is right for you. If you are already making mortgage payments on your primary home, you may not have the funds to make mortgage payments on a second one. Remember that housing should only cost approximately 30 percent of your monthly income. You may want to consider renting your first cabin. Other similar options include paying for a timeshare or finding someone who is willing to let you rent-to-own the home. Of course, there are more financial considerations to make than just the mortgage. If you own a cabin, you will need to pay property taxes and utilities, hold homeowner's insurance on it and pay for necessary repairs and maintenance. If you are not living there full-time, you will also need to pay someone to maintain the home while you are gone. Consider how often you will be able to visit your cabin based on how far it is located from your primary home. If it is in a remote location, you will need to determine how easy it would be to get to when there's bad weather, which is often a part of mountain living. You'll most likely not want to drive more than two or three hours to get to your cabin. Not everything is as wonderful and as picturesque as it appears in photos. Be sure to visit your potential new cabin before signing on the dotted line. You will also want to be sure that you like the area before settling there. Consider renting a cabin in the area for a week or two to see if you like the scenery, the climate and the activities there. Since you probably won't be living in your cabin for most of the year, it's worth considering whether or not you'll be able to rent it out to others while you're not using it. Doing this can help you lower the cost of owning the cabin, as it will supplement your mortgage payments. If you buy a cabin in a highly-traveled area or a known tourist location, you may be able to rent it out quite frequently. There are other considerations to keep in mind if you plan on renting it, such as having someone close enough to respond to any emergencies involving your renters. You should work with a professional, like Block & Associates Realty or a similar company, to determine if this approach is right for you. 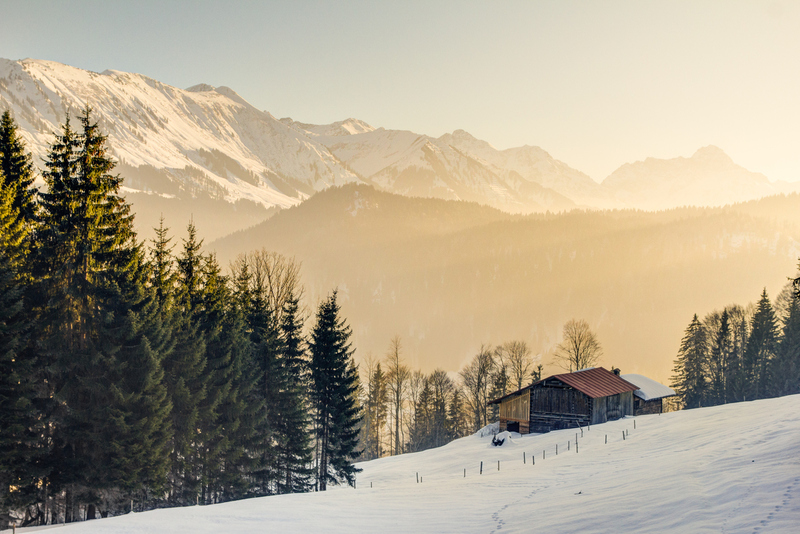 Although it can be exciting to consider buying your first cabin in the mountains, be sure that you are not so caught up in the excitement of the moment that you do not make a wise purchase. If you have the finances to afford a mortgage and if you feel that it will be a wise investment based on how often you plan to use it, a cabin purchase can be a great way for you to escape from your busy everyday life; however, if you love the mountains but are not ready to commit, consider renting your first cabin instead. No matter which option you choose, you are sure to love your mountainside retreat.